The Rockies aren’t necessarily striking fear in the NL West at 40-48 headed into the All-Star break. That’s obvious, being 16 games back in the division and seven games back in the Wild Card. But it’s not for nothing. 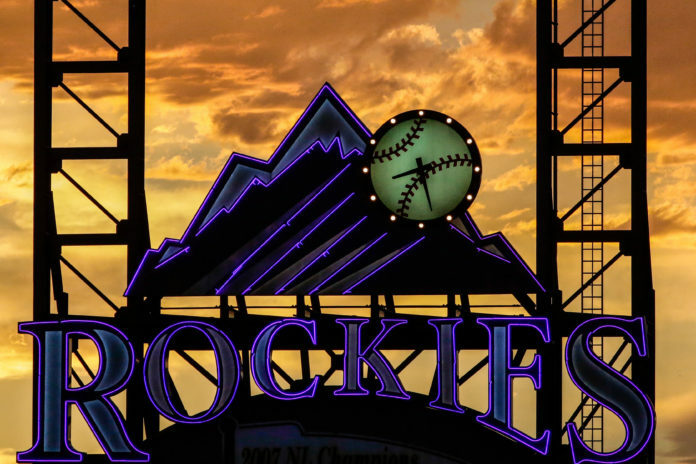 Even though the Rockies are only one game improved from last year’s 39-49 record, they feel different. The standings may not show it, but Colorado feels like an improved ball club. Moving into the second half, the rotation will line up with Jorge De La Rosa, Chad Bettis, Jon Gray, Tyler Anderson and Tyler Chatwood. This is where the optimism starts for manager Walt Weiss. The usually stoic DJ LeMahieu was candid in why he thinks the atmosphere in the clubhouse is different this year. That first ray of hope, and also the start of the inconsistency, came when the Rockies stole a series from the Cubs in early April and swept the Mets in May. They we’re winning in the division too, handling the Diamondbacks in Phoenix — against Zack Greinkie, no less — and not getting outmatched by the Dodgers or Giants, either. That all changed in the middle of May, though, when they went on a road trip playing the Cardinals, Pirates and Red Sox, all teams expected to compete for the playoffs. They went 3-6 during the stretch, but the mantra was that previous clubs under Walt Weiss wouldn’t have performed that well. But the consistency is the main issue with this team. They can beat good teams, but are 7-12 combined against the Padres and Reds, who are combined 40 games out of first place in their respective divisions. More often than not, it seems like this team has to claw back. But their resiliency has often been thwarted, as the team is 0-43 in games where they don’t hold the lead after seven. The bullpen has not kept them in close games with a nearly 5.00 ERA. The last game of the first half against the Phillies was a perfect example. The Rockies, after playing a complete game the night before, trailed 4-2 going into the seventh inning. The final score was 10-3. 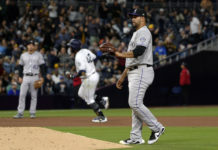 Getting pieces like Adam Ottavino and Jake McGee back, and with the development of Carlos Esteves, Weiss said he believes the bullpen will be able to take a step forward. In Spring Training, Weiss and his staff stressed the concept of winning the inning. 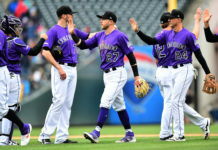 While it didn’t magically cure all the Rockies’ woes, he said it has created a heightened sense of awareness, situationally. Now the Rockies just have to execute. “We’re looking for some consistency on the offensive side,” Weiss said. “There’s sometimes when there is too much swing and miss. I think our strikeout numbers — I don’t know; I haven’t looked since that rough [West Coast] road trip — but we were middle of the pack. It wasn’t anything alarming. To have any chance in the second half, this team will have to do a lot more than just get healthy. Everyone, including the leader and superstar of this roster, will have to step up in a big way. But Arenado did see a bright spot when compared to 2015. If one factor is going to save this team from an unfulfilled season, it’s the team’s chemistry. After Sunday’s game, Reynolds is cruising around the clubhouse on a solo wheel — imagine a balance board, but replace the cylinder with a wheel. The board lights up like all your favorite shoes did when you were a kid. This big kid finds the solo wheel to be the best mode of transportation to see all his teammates before they leave for the All-Star break. 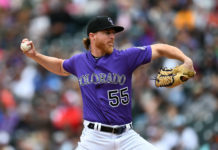 Reynolds can’t comment on this clubhouse from a year before, but he’s cognizant of how young guys like Jon Gray and Tony Wolters have matured and become more confident in their pitching and handling the bat respectively. He also likes the determination of this clubhouse. Before Jim Mora rants start to come to mind, this team has confidence. Now it’s just a matter of spreading that to the rest of Denver.